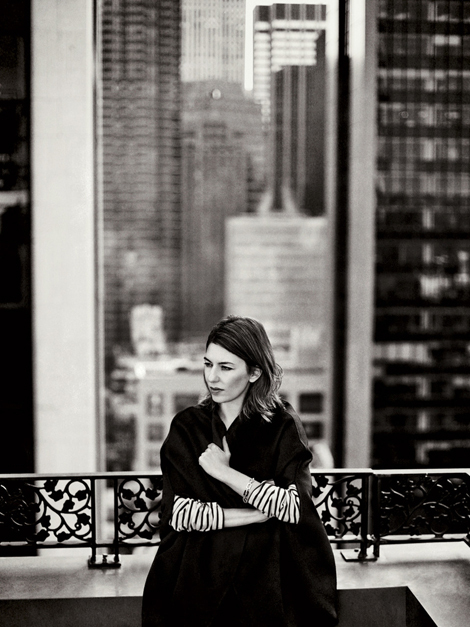 ... absolutely love this shot of sofia coppola. striped sleeves peeking through the oversized coat is brilliantly styled. She always looks so together...doesn't she...sigh. definitely love this pic too. so classic. l o v e her so. You know, although not always in line with my own tastes, I have always respected her willingness to embrace her personal style - pushing the limits just enough to make her a bit brilliant. I still remember my introduction to her - The Godfather. She was terrible but I knew I would see her again.